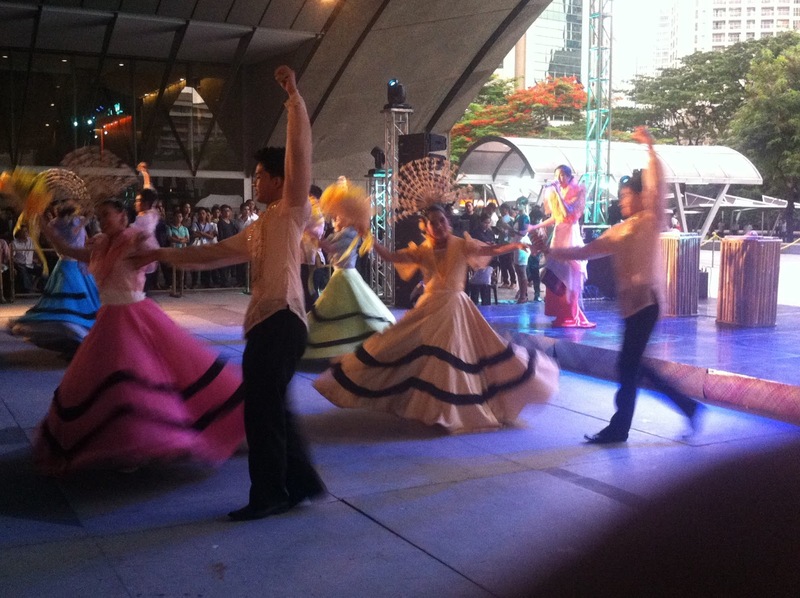 Makati takes the lead in mounting a grand event to celebrate 115 remarkable years of the Philippine Independence being one of its signature events.The country's leading city highlights the admirable spirit of resiliency and optimism of the Filipinos and how we are able to rise from all challenges and adversities. With bamboo, a sturdy and versatile material that is also uniquely Pinoy as its main instrument, Makati 2013 Independence Celebration is a three-tiered event that is all in the same breath experiential, educational and entertaining. 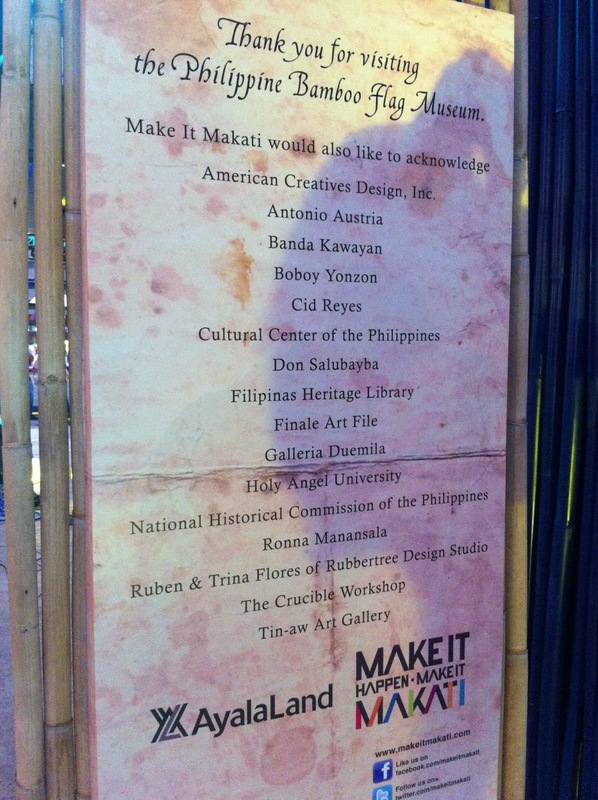 The Makati populace and even visitors from neighboring cities should look forward to a new art expression of the flag with the unveiling of the country's first ever Philippine Bamboo Flag Museum. It is a structure that showcases images and vignettes from our nation's rich history through a gallery exhibit entitled "Grass: Routes of a Nation." 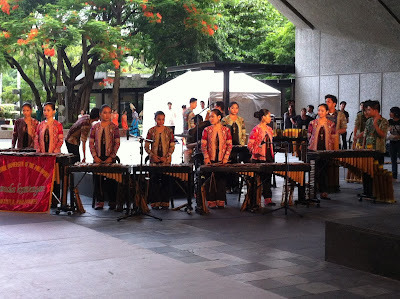 QR codes could be also found on some of the exhibit panels that provide visitors an interactive way to know more trivia about bamboo not to mention the actual bamboo music instruments that are available inside, which kids and adults will surely enjoy. 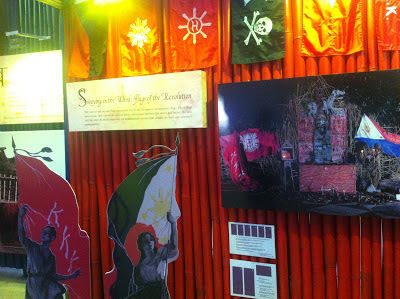 Standing 5 ft tall and covering 50sqm area, the Philippine Bamboo Flag Museum is open to everyone and will be on display from June 11 until July 31. The celebration also featured Filipino artistry at its finest entertaining the community with a variety of Philippine Cultural Shows by the Palihang Hagonoy, a dynamic organization committed to propagation of Philippine art and culture.Young talented performers sang Lawiswis Kawayan, a famous Waray folk song and displayed their dancing prowess with Tinikling, Singkil and Palo Sebo dance numbers. 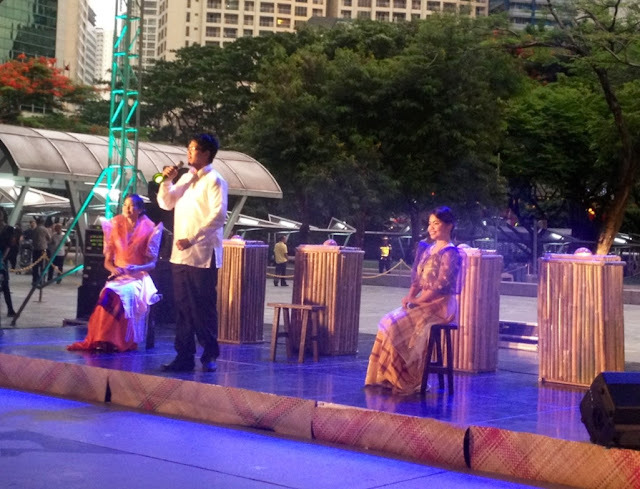 Guests were also treated with the traditional Balagtasan (Filipino Poetry) that intrigued the audience on which is more beneficial, the Bamboo of the Coconut tree? The likewise musically gifted Banda Kawayan from the Polytechnic University of the Philippines graced the occasion and awed the audience with their one-of-a-kind musical performances using bamboo instruments. To add to the grandness of the celebration, on June 15, families, kids and friends especially art enthusiasts can participate in the Independence Sketchfest activity, an on-the-spot sketching competition where exciting cash prizes and consolation prizes awaits the winners. 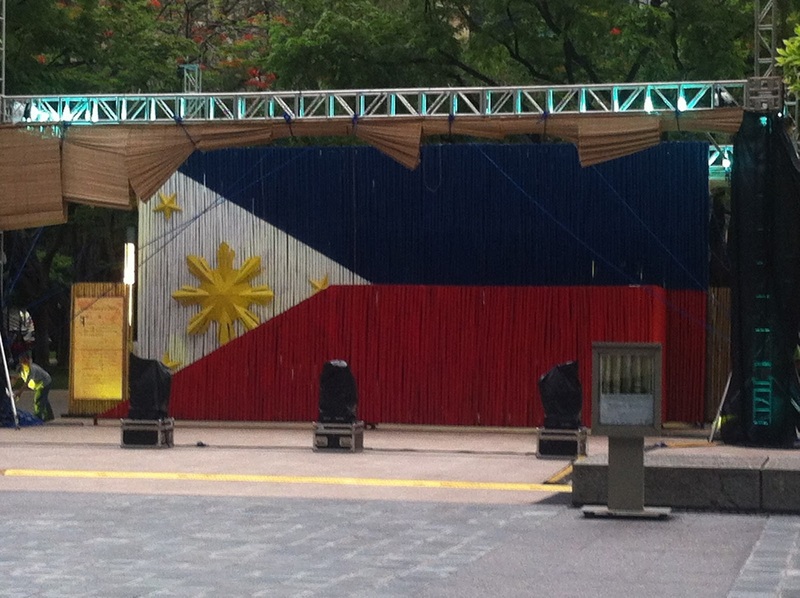 To also promote Filipino sportsmanship and celebrate our being world-class, people should look forward to a giant chess installation at teh lawn area of Ayala Triangle Gardens that will also be available to the public from June 11 to the end of July. Exhibition games are slated for various universities where they will be joined by the world renowned Filipino Chess Master himself, Eugene Torre. Indeed, there is no denying that the Philippines is a country with rich history and admirable values. It is a nation that has dealt with the most harrowing catastrophes and misfortunes, beset with social malady, and reeks with a long history of colonization, and yet the Philippines has overcome all of these to stand proud, free and resilient. 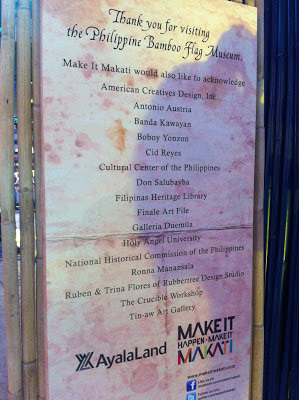 Just as the Philippines is fast gaining momentum as an emerging leader in Asia, Makati has consistently asserted and solidified its reputation as the country's leading city that makes it all happen, the perfect venue for a one-of-a-kind Independence Day celebration. The Independence Day celebration in Makati was made possible by Make it Makati, Mastercard, Philippine Star, Philippine Daily Inquirer, Manila Bulletin, Business Mirror, AXN, Banapple Pies and Cheesecakes and Canon.